Puzzi 10/2 Adv 11931200 https://www.kaercher.com/tn/professional/carpet-cleaner/spray-extraction-machines/Puzzi-10-2-adv-11931200.html Puzzi 10/2 Adv: Spray extraction machine with defoamer dosage, cleaning agent compartment, integrated cable hook, holder for handle with trigger/suction pipe and a power outlet for PW 30/1 for improved area performance. Puzzi 10/2 Adv: Spray extraction machine with defoamer dosage, cleaning agent compartment, integrated cable hook, holder for handle with trigger/suction pipe and a power outlet for PW 30/1 for improved area performance. Puzzi 10/2 Adv, the spray extraction machine with 2 bar spray pressure. 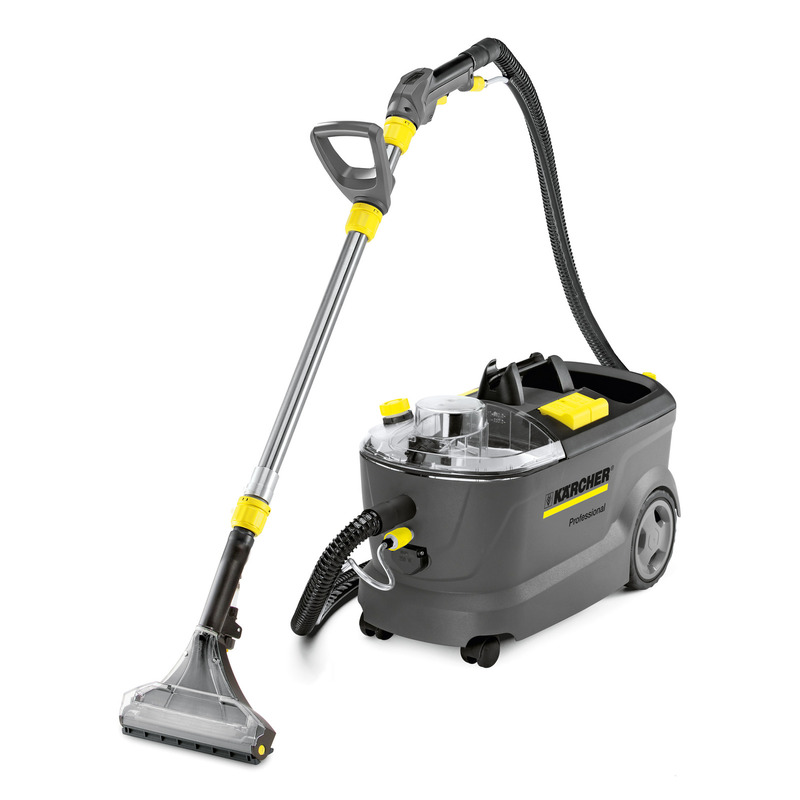 Ideal for cleaning textile surfaces. With the PW 30/1 roller brush connected, the Puzzi 10/2 Adv is impressive, even on medium-sized surfaces. The integrated defoamer dosage prevents too much foam from forming in the dirty water tank, especially when rinsing shampooed carpets. With defoamer dosage, storage compartment for cleaning agent tabs, power outlet for PW 30/1 to increase area performance, integrated cable hook and holder for handle with trigger and suction pipe.